I was getting ready for a Cerra Twitter party when the note popped up Steve Jobs Dead. I know we all have different feelings for this man. I personally did not know him, never shared the same convention space with him. He was just a man who knew he had something very special, and did a rare thing; He fought for it. 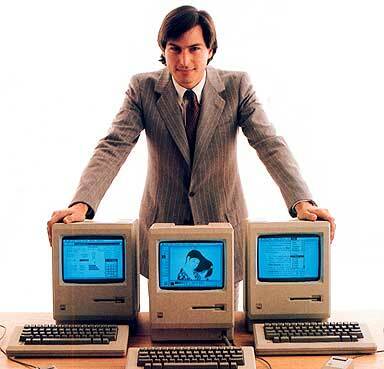 He Fought, made millions and created an empire that will never be the same without him.- It will sound odd – but I wonder if they knew so when were disappointed with no I-Phone 5 and got I-Phone 4S if that did not have a way to say, thanks Steve for all you have done, and may your legacy create evermore items that are worth fighting for – worth making leaps of Faith. For Me I say I pray he is embracing our creator. Many Blessings to his family in their time of loss and understanding – He was known by many. Fast info about the love of Free trade – and the great coffee that comes from it! Did you know that when it comes to Free Trade like with Green Mountain Coffee that their are standards that are followed check it out Fare Trade should be something you really look for when you purchase items in the grocery store! All farmers are paid a fair price for their harvest, they can invest their Fair Trade premiums in their communities and businesses. Not only do the farmers have to follow strict guidelines to maintain the FDA regulations they also must adhere to a number of environmental standards. Think about the extra work just to do right by our environment and growing green! They also have strick laws when it comes to labor laws and practices. Doing all of these time and cost associated items gains them the treasured Fair Trade Certification. All of these items help create high-quality coffee, quality working environments, and above all GREAT GREEN MOUNTAIN COFFEE!! – All because I am a BuzzAgent and I get to try these items for free. To the person or persons who sent me a caed via the postal service today, I thank you with all the grace I am given this side if Heaven. When people pay enough attention to hear the small details then use that to make a difference that will in turn be passed to another with pure grace. I think that is truly being Jesus for someone. THANK YOU TO THE PERSON WHO WAS JESUS FOR ME TODAY. BLESSINGS TO YOU! Everyone says money rules the world, ruins marriages, makes things happen, gives you peace, tears you apart. Me personally I think money is a resources that if you were not taught early on how to manage can hurt you, even suffocate you. Now that I am not working it makes it harder on me, my family and our life. Money – you don’t speak about it, you don’t share your ups and downs with anyone but your spouse. Today I am angry – angry that money is trying to hurt me when I’ll I am trying to do is live right. Perhaps God will read my Blog and comfort me in this season. Terrorist came to America to try to rattle of our cage. Instead of being weak and being rattled we instead we bound together, millions hung flags on their homes and cars. In corporate america where I was we as a company joined hands in a prayer for those hurting and lost, we prayed for the pentagon, the plane in Pennsylvania, we prayed for our families. We went home, I went to stand in line at the elementary school to get to my daughter. Her school was in lock down, so all we could do was sit and wait and listen. The quiet lack of sound of the sound of no planes in the sky, the world uncertain. We came back STRONG and today on the 10th anniversary we can be proud that those who choose to harm us, are no longer and God will give His one and only justice to those who chose to frighten us, scare us and destroy the american fabric. United we stand we are stronger today!! May God Bless America, and may we continue to wave the flag with victory and honor. I know I pledge to never forget that day and that I hope to be able to give my children a strong sense of pride for the country we are in! May God guide us in any future acts of terrorism, and may they never touch our soil again. ~Feel blessed to be alive today and pray for those lost and left behind!! These are the moments I am wondering will today be the day. Later today I have some tests to be performed. So here is the thought for the day – Christ will be with me. I am who I am only in Christ. The reason I am here is because I believe I can be “ME” again. I am surrounded by the love of an amazing family! My life is a series of moments. It is how I make theses moments is what matters. Today I stand on Prayer. – I am walking, running…..
Today I participated in Twitter Tuesday. This is something I do every Tuesday and I end up receiving coffee mugs and other cool prizes. You know me, Fun and Free. Well I Tweeted the person who puts on Twitter Tuesday Monday morning and said “Hey, what if we could do something different with Twitter Tues this week, like send our prizes, water bottles etc. to those who need them after Irene hit?”. Well She liked the idea and they ran with it today they offered anyone who won twitter tuesday could forgo their prise and they would donate $25 dollars to red Cross for each person who #Irene on there reply. She even mentioned my name as the person with the kind idea. I was very humbled. We were able to give shout outs of encouragement to the victims of this disaster and know that our words were also a gift to the Red Cross. If you don’t know Synovate, you need to. They are a above and beyond company with real down to earth values. Today was a good day!!! If you are on Twitter look up #Synovate and #MarieBrighton #TwitterTuesday. First did you know John Grisham was a Lawyer, not just a Novelist. He took time off in 1996 after a five-year hiatus, to the courtroom. He had made a commitment to a family and he honored it. He was representing the family of a railroad brakeman killed when he was pinned between two cars. Preparing his case with the same passion and dedication as his books’ protagonists, Grisham successfully argued his clients’ case, earning them a jury award of $683,500—the biggest verdict of his career. – A Time to Kill Was his 1st novel, and he had to sell it from out of his trunk. – His latest Novel to hit the stands in paperback THE CONFESSION on July 19th won the 2011 Harper Lee Prize for Legal Fiction. This is a huge honor for his body of work. – The Firm on its own is making waves it is way to the television screen this Fall on NBC. 1st the book was approached and purchased for screenplay rights by Paramount before it was published – Wow – and to top that now it is hitting the tv screen. I am ready to see it happen, because just like a good book, CBS and a couple other players are fighting a legal battle about who has rights to the tv series… Makes you want to re-read does it not! The Firm, The Pelican Brief, The Client, The Chamber, The Rainmaker, The Runaway Jury, The Partner, The Street Lawyer, The Testament, The Brethren, A Painted House, Skipping Christmas, The Summons, The King of Torts, Bleachers, The Last Juror, The Broker, Playing for Pizza, The Appeal, The Associate and The Confession. The Innocent Man 1st non fiction and Ford County 1st short story – 24 Books!!! The 25th Novel – The Litigator – It is a legal Thriller Coming October 25th – Just click the link over on under My links to pre-order or click here as well. This Novel is stepping up to stand with THe Firm – Make your move today and take Americas favorite storytellers newest Thriller home! The 25th Novel - The Litigator - It is a legal Thriller Coming October 25th - Just click the link over on under My links to pre-order or click here as well. This Novel is stepping up to stand with THe Firm - Make your move today and take Americas favorite storytellers newest Thriller home! The release of this novel promises to be a big event— Grisham's had more than 20 years of consecutive #1 New York Times best sellers, after all!